(The White House) The West Wing is finally back to normal after an incident which left the President stuck on a staircase for much of the evening. 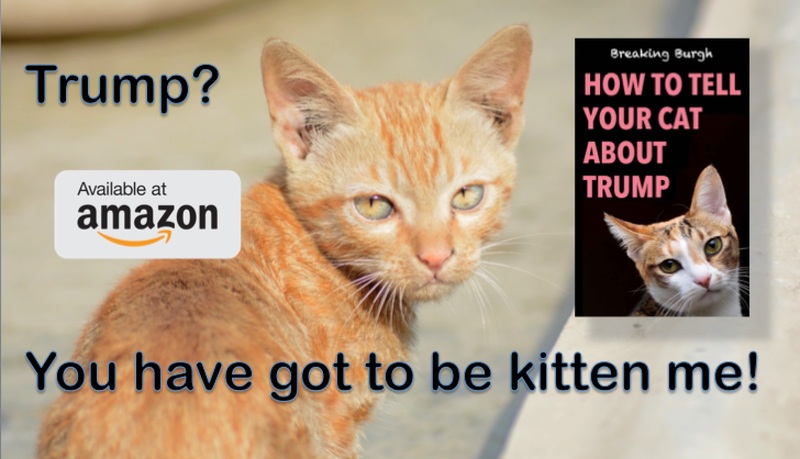 This follows a string of events in which President Trump has failed to negotiate effectively, the most recent being the summit with Kim Jong-un. It appears to be yet another example of the self-described ‘Dealmaker in Chief’ expecting things to effortlessly go his way. When the bucket refused to budge, the President was left standing there helplessly until he was discovered by an aide hours later. 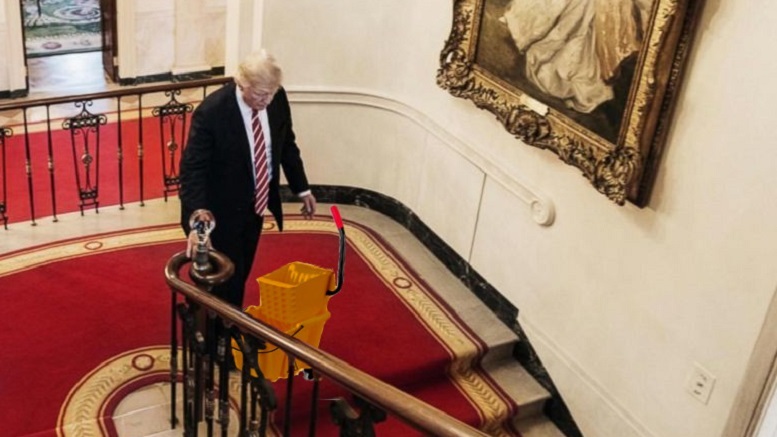 2 Comments on "Trump Stuck For Hours After Failing To Negotiate Path Around Janitor’s Bucket"
Too bad he did not just “Kick the bucket”….LOL!!!!! Where was the box of rocks he is dumber than? Bill Barr Hired As Spokesman For I Can’t Believe It’s Not Butter!